The crew at Maggot House Records kicked off their month curating the Tuesday Tune-Out series at PhilaMOCA with the double-header lineup of Bleeding Fractals and Cool Points. The two Philly bands played short sets, followed by a screening of the Temple-produced documentary on the Philly DIY scene, My Basement is a Shithole. Check out photos of the show below; Maggot House’s next installment in the series happens this Tuesday, August 13th, when The Joint Chiefs of Math and Moss play a sci-fi movie night. More information can be found at the show’s Facebook event page. For tonight’s installment of the Tuesday Tuneout series, Maggot House Records are bringing Bleeding Fractals and Cool Points to PhilaMOCA. The former is a post-punk rock band which features sharp and driving riffs and screaming vocals (the group claims to have been founded on a shared fear of city bears). The latter, Cool Points, is similarly based in punk noise and lead by talented singer Jill Mallon. This event will also include a screening of the documentary, My Basement is a Shithole, which explores the basement show culture in Philadelphia’s punk music scene. Take a listen to “Colfax Kids” by Bleeding Fractals (which are apparently an unusual sort of mathematical set) and find information on the show here. 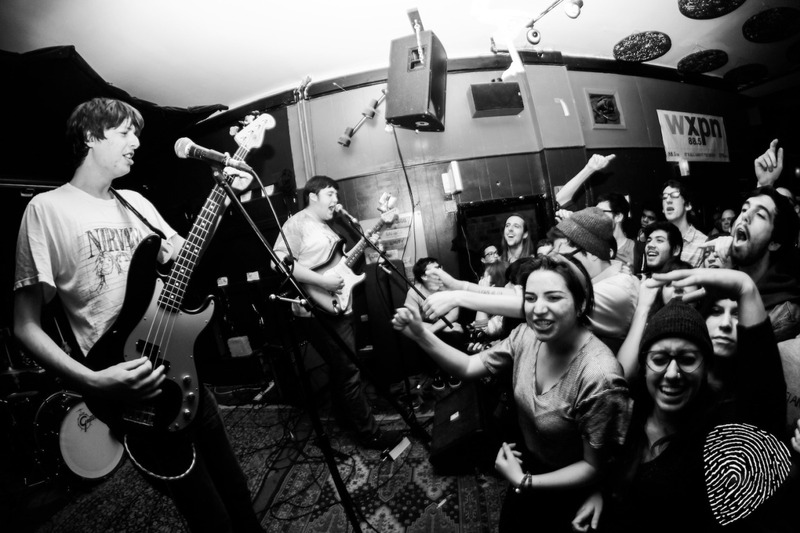 Recent Run For Cover Records signees Modern Baseball celebrated their label-ship with a heck of a party and a red-hot bill on Feb. 17th featuring Smoother, Cayetana, Marietta and Cool Points. They closed out the show with their usual romping, triumphant sing-along, except this time they had something to celebrate. It was an appropriate occasion to see this band tearing up a venue like The Fire in the wake of their buzz-crazy record deal, rather than the usual dusty basement.